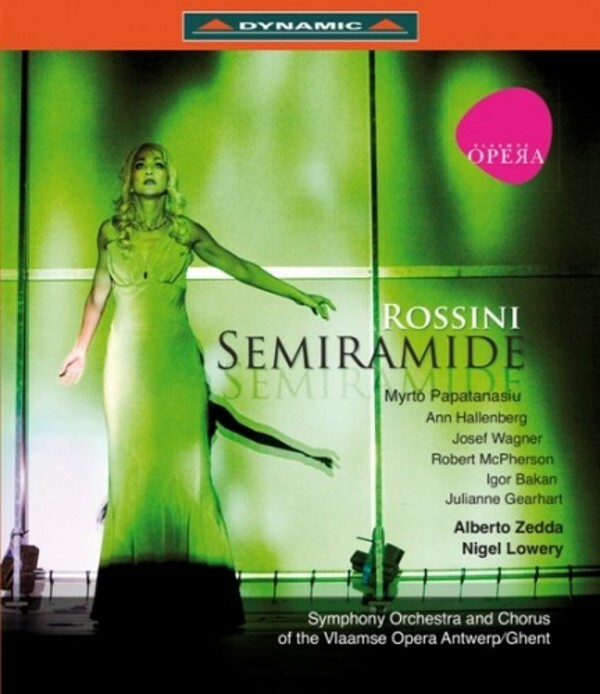 The composition of Semiramide took approximately four months, which is an unusually long span for Rossini. The premiere took place on the 3rd of February, 1823. The opera�s libretto is based on Voltaire�s drama S�miramis, written by the French philosopher and scholar in 1748. In some respects a conclusive work, Semiramide contains, like all masterpieces, traditional elements alongside innovative ones. Rossini accentuated the role of the orchestra, compared to his previous serious operas: the Sinfonia, the longest and most elaborate Rossini ever wrote, immediately suggests that Rossini endeavoured to give the instrumental part a more important role than usual. At the same time, the bel canto dimension is probably more developed than in any other previous Rossinian serious opera. Indeed, even recently, the difficulty of finding interpreters up to tackling Rossini�s vocal writing, often prohibitively difficult, has contributed to the few performances of this masterpiece. The role of Semiramide calls for a singer with qualities of both dramatic and coloratura soprano; bel canto agility is also required of all the main interpreters of this opera. This is a 'huge' opera from all points of view. It summarizes and completes Rossini�s serious arc, and is paradigmatic of all that would follow.